All six directors up for this year’s prize – including Iranian director Asghar Farhadi, who is boycotting the ceremony – have issued a statement blaming ‘leading politicians’ for inciting fear and bigotry across the world. The six directors in the running for this year’s foreign language Oscar have issued a joint statement blaming “leading politicians” for the fear they feel is creating “divisive walls”. Australia's first-ever Oscar nomination in the best foreign-language film race at the Oscar 2017. The statement, which was issued on Friday, comes ahead of Sunday’s Academy Awards, which are tipped to be the most political in recent memory, with winners and presenters expected to speak out against the new US administration. In their letter, the six condemn “the climate of fanaticism and nationalism we see today in the US and in so many other countries, in parts of the population and, most unfortunately of all, among leading politicians”. The statement is signed by Asghar Farhadi, the director of Iran’s The Salesman, Martin Zandvliet, director of Denmark’s Land of Mine, Hannes Holm, director of Sweden’s A Man Called Ove, Maren Ade, director of Germany’s Toni Erdmann and Martin Butler and Bentley Dean, joint directors of Australia’s Tanna. Farhadi, who became the first Iranian to win an Oscar in 2012 for his film A Separation, has already said he will boycott the ceremony in protest against Donald Trump’s attempts to enforce a travel ban which would exclude from the US people from seven Muslim-majority countries. A free screening of Farhadi’s film, The Salesman, will take place in Trafalgar Square in London on Sunday, introduced by the capital’s mayor Sadiq Khan. It is now considered favourite to take the Oscar, with many Academy members believed keen to express their own disapproval of Donald Trump’s measures through a protest vote. 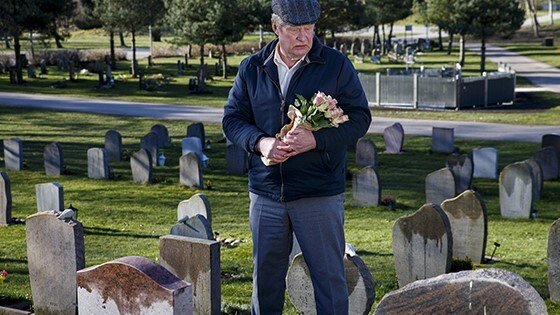 A Man Called Ove is nominated for Foreign Language Film for Oscars 2017. This is the fifteenth Academy Award nomination for Sweden. Until earlier this year, Germany’s Toni Erdmann – a father/daughter comedy which is being remade in the US with Jack Nicholson and Kristen Wiig – had been tipped for the win. It may be set immediately after the Second World War, but Danish Oscar nominee Land Of Mine feels like required viewing in the current climate. The 89th Academy Awards take place in Los Angeles on Sunday, 26. february 2017.